You’re moving out of your parent’s house and into your first home of your own. You’ve ordered your sofa, found a bed and even remembered the saucepans. But what are you going to do with the rest of your things? 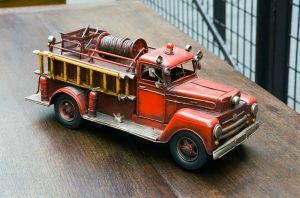 You might be thinking about all the new things you can get for your home, but you’ll soon find your parents on the doorstep with a car full of your childhood toys and teenage clutter. You might not see the need for them now, but one day you may well treasure those memories. So, what sort of thing should you hold onto and what should you let go? You may not be that interested in pictures of yourself playing on a beach you don’t remember age 3 – but one day you’ll find yourself wanting to know more about your parents holidays before you were born, or your grandparents wedding. Go through them with your parents, and have them write down who each person is on the back, so you have the information when you want it. Just like clothes, toys often come back into fashion as trends renew. Marvel figurines, Matchbox cars, Furbies, Tamagotchi and Pokemon cards have all come back around as must have toys over time. If you are still holding on to original versions of these, they may well increase in value. The last thing you want to do it is throw out all of your childhood toys now, only to discover you had a rare and valuable Barbie. And even if they aren’t worth anything, your own children may enjoy playing with them in time. You may have skipped out of school on the last day, glad you never have to think about it again. Perhaps you won’t for years. But then you’ll have a school reunion, or bump into someone you knew, and you’ll want to peek back at the memories. Awards, certificates and trophies are all nice to keep, but perhaps one of the best things, though you might not think it now, as your school reports. In 20 years time these can be a great source of entertainment, although you might want to hide the teacher’s comments from your own children. There may well be some favourite clothes you just can’t bear to leave behind: a snuggly hoodie or band T-shirt. But the majority of clothes you wore as a teen probably don’t need to go with you to your new home. Sort out the ones that no longer fit, or are a bit too worn, and see what you can give to charity. We certainly do accumulate a lot of paper in our lifetimes. But do you really need to keep it? Take a look at your bookshelves, and see which treasured paperbacks you are really likely to read again, and which ones you have outgrown. Comics and magazines are the same. It’s all extra weight. Now you’ve decided what you need to keep, you still might not have space in your new place for all the boxes. Don’t throw things out just because you can’t find a cupboard for them, if you know you’ll regret it one day. 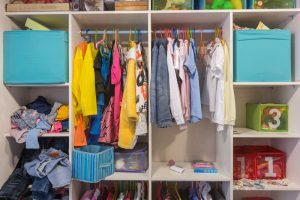 With your own small self-storage locker, you’ve got just enough space for your childhood treasures, secure and dry, until you’re feeling nostalgic. Call us now on 020 3637 0850 to discover just how we can help you.